Design is a good idea » Kaleidoscopic Kindergarten. Bradford on Impossible is nothing. Urusha on Moving with it. saikiran v on Two Faced. Carroll Cardillo on Have a seat. Design is a good idea on Cornered. Renowned Architect and collector Norman Brosterman sent us these images and some information about a great new product he has created in collaboration with Scott Bultman. Brosterman has the curious distinction of being one of the world’s leading authorities on the history of building blocks, construction toys, and antique mosaic and pattern making toys. He is the author of the award-winning book, ‘Inventing Kindergarten’. 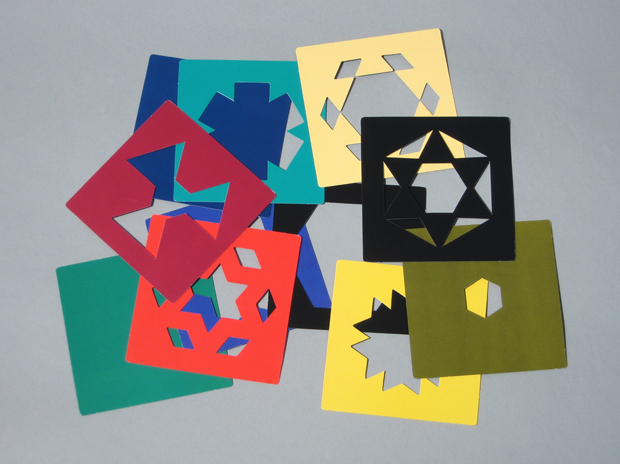 Norman’s research into the playful geometry of the original Kindergarten has had profound international impact on early childhood education and kinesthetics (tactile learning) as well as the history of modern art and architecture. 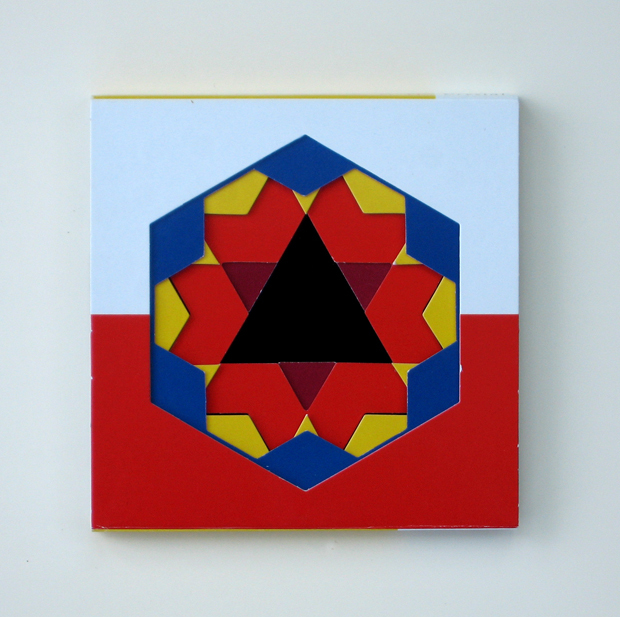 The Kaleidograph was conceived in collaboration with Scott Bultman in the tradition of the Froebel Kindergarten for ages 4 to adult. “Scott Bultman was headed toward digital media and music composition when he inherited renowned maker of ABC blocks, Uncle Goose Toys, of Grand Rapids, Michigan. A father of young children in the 1990′s when he discovered the directed play of the early kindergarten, his company, Froebel USA, is now the country’s leading supplier of the play ‘gifts’ designed by kindergarten’s inventor, Friedrich Froebel, almost two hundred years ago”. 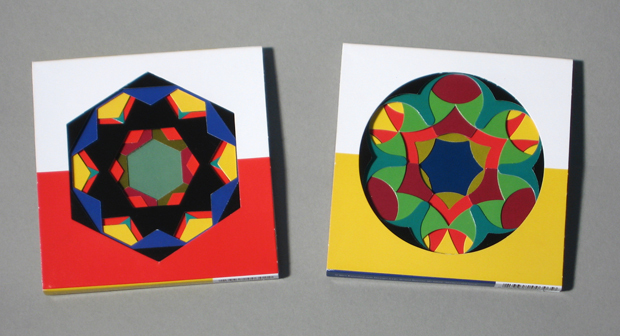 The deceptively simple, die-cut cards of the Kaleidograph can be arranged in over 1 billion designs. 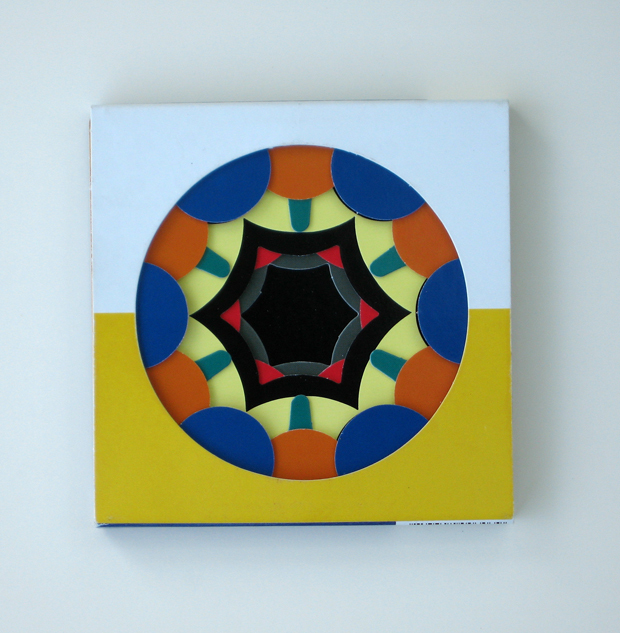 Both an engaging toy and a tool for designers, the Kaleidograph is a cost-effective inspiration for textile/packaging/graphic design professionals. 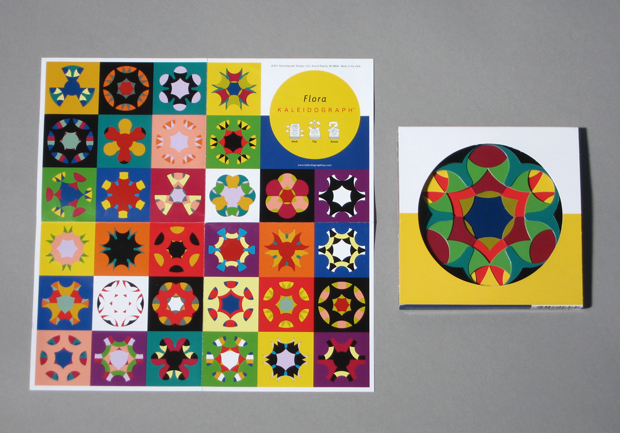 Explore symmetry, color, and pattern with nine die-cut cards and three solid backer cards, producing mandala-like, kaleidoscopic designs. 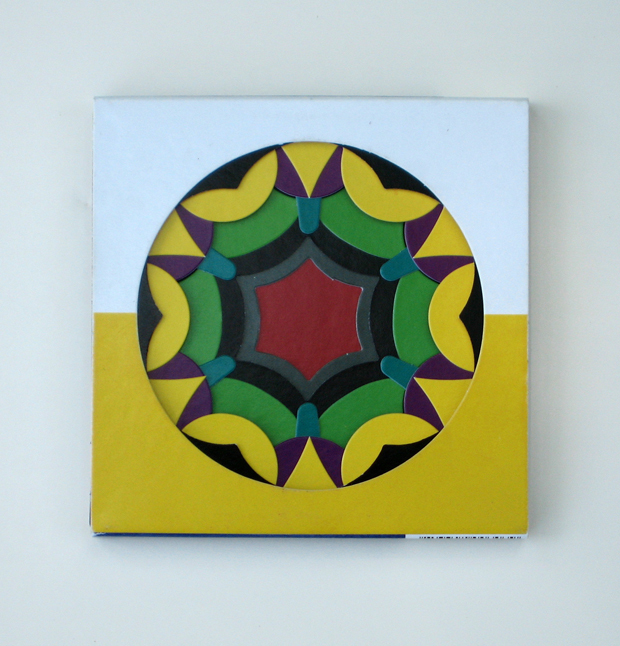 Leave a Kaleidograph on your coffee or conference table and it will be in constant use. Itâ€™s great for creative play, birthday/goodie bags, for stocking stuffers, and as a travel toy â€“ on the go entertainment for kids at restaurants, in the car, on a plane. 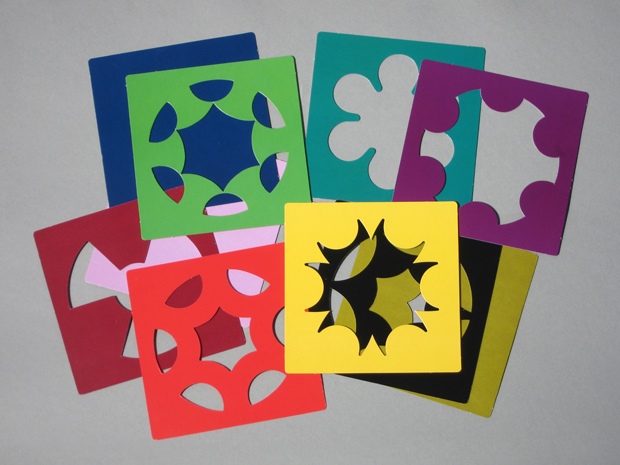 The Kaleidograph is made in the USA, is 100% recyclable, and has a suggested retail price of $12.99. 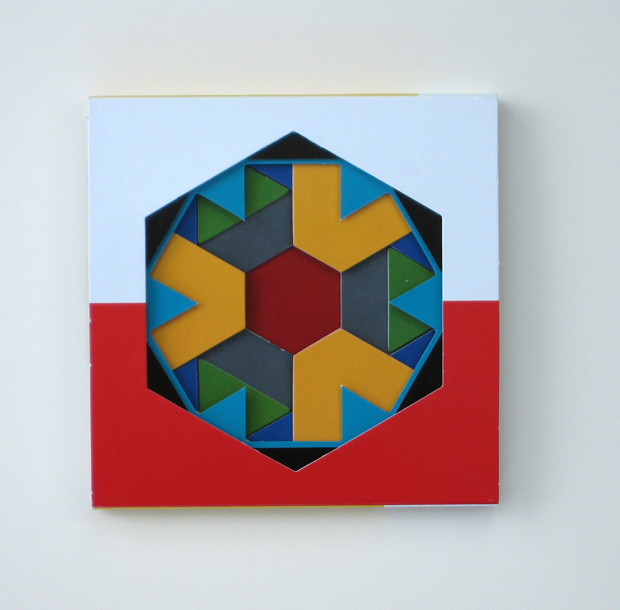 It has just been accepted for sale at the Design Store of the Museum of Modern Art in New York. © 2011 Design is a good idea. All images are copyrighted by their respective authors.